A powerful earthquake hit the Indonesian island of Sulawesi and triggered a tsunami, killing at least 384 people. Oxfam and our local partners in Indonesia are assessing the damage and preparing to respond. Oxfam has previously established a Humanitarian Knowledge Hub with the support of Oxfam in Indonesia which consists of 16 civil society organizations in Indonesia, led by Jamari Sakato. 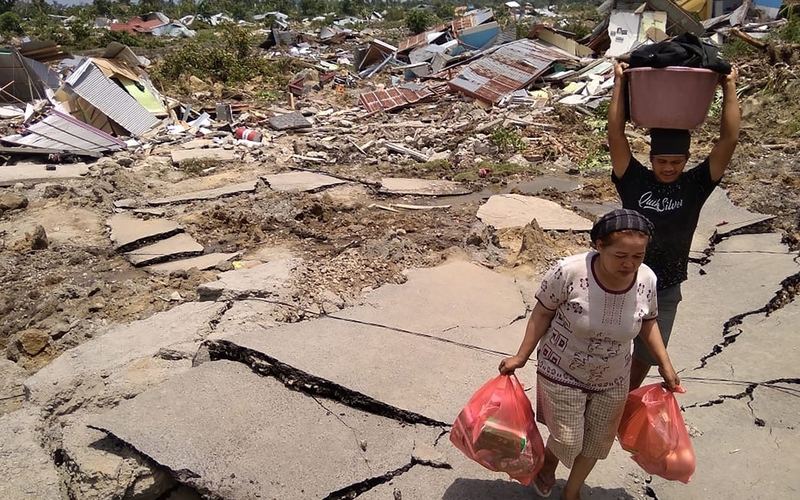 Oxfam in Indonesia has been working to strengthen the capacity of this alliance as the local force in disaster risk management, and it responded to help people affected by the Lombok earthquake in July 2018. Oxfam has been working with local and national partners in Indonesia since 1957. We are currently working in six provinces, where we support the Government of Indonesia, civil society, and local communities. Oxfam focuses on helping build resilience to disasters, empowering women to realize their rights, and influencing people in power to reduce inequality and poverty. Help meet the most critical needs of people struggling to survive in Indonesia.